Refugee Week 2019 will be held from Sunday, 16 June to Saturday, 22 June 2019. The launch will be held on Friday, 14 June 2019. Details of the event will be announced in the months leading up to this incredible annual event. For more information go to the official Refugee Week website. Refugee Week 2018 was officially launched at in the Barnet Long Room, Customs House, Sydney at 10am, 15 June 2018, and featured the STARTTS Humanitarian Awards. The MC for the morning was youth representative and former refugee Simon Shahin. #WithRefugees was the theme of Refugee Week 2018 and provided the chance to celebrate the refugees who have made such a great commitment and contribution to Australia and also stand in global solidarity with refugees everywhere. STARTTS participated in the official launch of Refugee Week 2017 organised by the Refugee Council of Australia on 16 June 2017 at the Paddington Town Hall. The event will featured inspiring voices from people from refugee backgrounds, captivating live music, and the 2017 Humanitarian Awards organised by STARTTS. 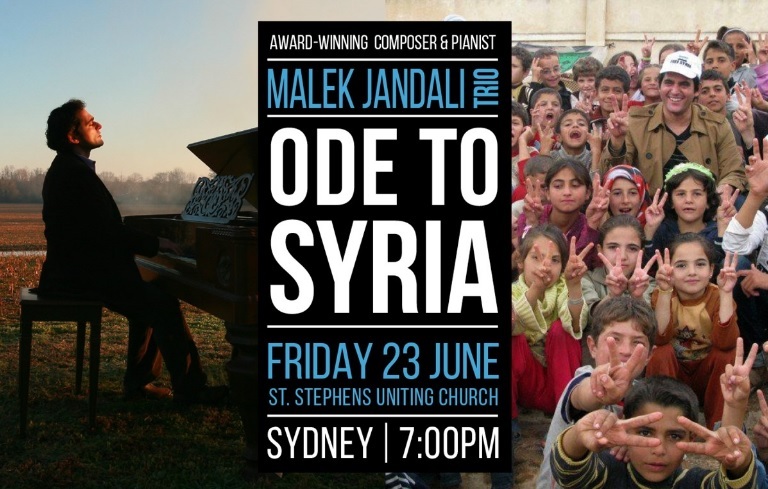 STARTTS, with the Sydney Peace Foundation, Amnesty International and Brave, was proud to present this event featuring the award winning composer and pianist Malek Jandali, to mark National Refugee Week 2017 and the International Day in Support of Victims of Torture (26 June).